The mouse is a small mammal which is used as a „model“ in experiments in biology, medicine and psychology, primarily because they are easy to maintain and to handle. Worldwide billions of mice are bred and used by industry and scientists. It’s a billion Dollar industry and mouse supplier “The Jackson Laboratory” had a operating revenue of $229.6 million in the fiscal year 2012. Mice have been used as a fast and easy experimental tool that furthers scientific glory through publications. The system is running itself and people are told that we need to do this for mankind’s progress. Mice are very social and compassionate animals. May-be you have heard about the mouse in Hangzhou Zoo in China who attacked a snake trying to save his friend. Also, every lab technician can tell you that each mouse reacts different and has it’s own personality. 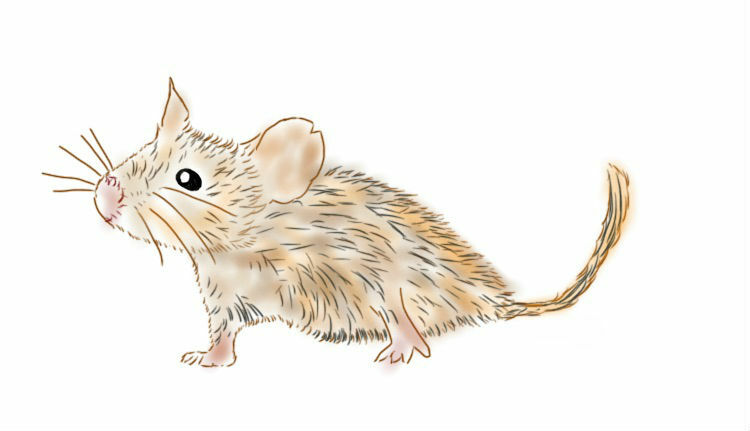 Some mice develop characteristics which resemble those attributed to human depression and because of this they have been used by scientists to study depression. In these studies scientists make connections to human disease in order to receive government funds. Many people do not have problems with sacrificing mice to better the lives of people. Most people don’t understand the real world impact of scientific papers and to be honest, we don’t want to read it. Here I would like to give a slight insight what they are doing to mice and why. 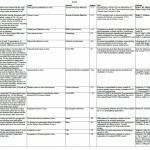 For this I analyzed 65 recent publications of two renominated universities. The Harvard University in Cambridge, USA, and one in Europe the ETH Zürich, Switzerland. First I want to point out that this is just a small window of knowledge into whats been done to mice for scientific reasons. If you searched in July 2013 for “mice” in Google Scholar, you got 32800 results just for the year 2013. I will be discussing 65 of those papers. Due to the overwhelming amount of research on mice I will not discuss the number of mice used or the money spend. A surprisingly low number of these 65 papers were about cancer research or about any approach to finding a cure for humans illness. Some studies were exceptionally cruel and useless like the studies with numbers *1, 2, 3 or 4. In study 3 there was no new finding, they repeated other experiments thereby extending the time mice were subjected to torture. This is called long-term effect and it is discussed that many mice have been lost during their experiments. Another cruel and useless experiment is study No 4, a so-called burning experiment. „Giovanoli et al. provided a detailed description of their methods (statistical test used, sample size per group, and degrees of freedom), which makes it clear that the analyses were inappropriate. Comment on „Stress in Puberty Unmasks Latent Neuropathological Consequences of Prenatal Immune Activation in Mice“ by Stanley E. Lazic. Among all this useless cruelty, only a fraction are related to cancer and its cures. Yes, there are some very good approaches like in number *6. Prof. Detmar’s group isolated cells from bladder cancer and compared them to normal bladder tissue. The group generated very beautiful and useful results concerning bladder cancer. But the results were from human patients not from mice. Why did they use mice? They used mice to confirm some results in vivo. Why did they do this useless additional experiment? Because they needed to do it in order to publish their findings in a high profile paper. That’s why they had to sacrifice mice. Experiments that estimate lethal doses of any given chemical in mice are an easy and common method for generating prestige through published papers. Those scientists who would like to appear a bit more sophisticated can mimic number *7. This group combined the feeding of mice with intoxication of Paracetamol. Similar experiments in order to generate a paper have been to produce knock-out mice (the deletion of any gene) and then to watch what happens. A good example for this are * 8, 9, 10 or 11. These experiments produced knock-out mice and analyzed exactly what happened. They didn’t claim any progress for cancer or HIV but in mammalian neural development, phosphate homeostasis, arthritis or cardiac hypertrophy. Although scientists know that each human and each mouse is completely different (*12 „neither all humans nor mice harbor the same bacterial strains“) they continue to do their tests anyway on mice or they talk about „humanized mice“ *13. In some publications, the reason for using mice is absolutely unclear, like in *14. They generated knockin mice with human genes and found that, as in humans, hair thickness is slightly increased in some mice. This results seem to be very important news for the paper „Cell“. They also claim that, „the laboratory mouse is an established tool for understanding pathological variants in the human genome“. Surprisingly there is one study that cares about the mice, because mice can’t behave normally after implanting transponders, these scientists decided to develop a new method published in *15. In another study scientists complain about the IACUC (The Institutional Animal Care and Use Committee) because they would not approve their standard approach of torturing the animals (*16). This gives us hope for the future. 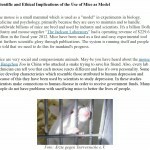 Is progress being made by using mice as an animal model for humans? Today we are able to grow human skin, human cells and human tissues in large scale. The 3-D cell culture is still not advancing very much because it’s much easier to use mice. Of course it’s much easier to use the enduring protocols over and over again instead of using ones own brain. Is it too much for scientists to think about new methods without torturing animals? A mouse is not human and it will never become human. There is medicine for a mouse, medicine for a dog, medicine for a sunflower and there is medicine for a human. A mouse is a mouse and deserves respect as a mouse. It’s time for the leading scientists to step forward and make progress towards the future. The young scientists who are using animals today will do tomorrow clinical trials with humans. We know from history that there were many unethical human experimentations. Actually there are still ongoing human subject abuses in Asia, Africa and South America by AstraZeneca, Bayer, Pfizer, PPD, Bristol-Myers Squibb, Amgen, Eli Lilly, Quintiles, Merck KGaA, Sanofi-Aventis and Wyeth. In Wikipedia you will find a list of uncovered unethical human experimentations. This does not mean that all young scientists who use animals as a tool will end up as abusers, but they perform the first step in accepting cruelty for the sake of their career. To get an insight into what experiments are being performed I searched in July 2013 with Google Scholar for mice, ETH Zürich or Harvard since 2013 without books, patents or citations. Because some papers are licensed to Journals, I omit the abstracts in the table. The publications were analyzed with NCBI PubMed and this is also where the interested readers are referred to. In the column named “mice used“ you will find a brief overview of the methods used for the publication. The column with the “impact“ is giving the most important number for the scientists. This number is what’s all about: Many high numbers equals funding, success and career. * you will find the green numbers in the first column of the table. My thanks to L.A. Watson for her critical comments and helpful suggestions. Text can be used under the terms of the Creative Commons Attribution Share-Alike license (CC-BY-SA). To re-distribute a text page in any form, please provide credit to the author. This entry was posted in Allgemein on 10. September 2013 by hannahadmin.